According to Sky News, self-driving lorries have been given the green light for trials to begin across UK roads – to which the Government have committed to a £8.1 million investment to finance the trials. This comes as no surprise to the UK who already have vehicles on the roads which operate with semi-autonomous driving systems, from cruise control and lane departure warning to active park assist. But as the Government funds further developments, we could see them on our roads sooner than we think. Driverless trucks and lorries are said to be amongst the first autonomous vehicles to be rolled out across our roads. 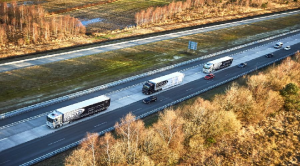 The Government’s funding will go towards paying for semi-autonomous platooning lorries, which will drive closely behind one another and linked via electronic connections which communicate with GPS, radar and wi-fi. By reducing the gaps between the vehicles, it’s said to reduce air drag, cut fuel consumption and reduce emissions, potentially by 20%. But what does an autonomous fleet of lorries mean for UK truck and lorry drivers? Autonomous technology aims to take away the human need in driving. Those who drive for a living worry that it could be the end of the road for their career. In the US alone, it is predicted that there could be up to 25,000 jobs lost a month, according to Goldman Sachs. With truck driving one of the most common occupations in the US, that figure could turn into over 300,000 job losses per year. In the UK, low-end estimates suggest that over 1.7 million truckers could also be replaced by self-driving counterparts – which could rise to as high at 3 million, suggesting many could rid their manual drivers of their job. Einride have already developed their own self-driving truck, that will be ready for 2020, and it does not have space for the human driver, or even passengers. The all-electric T-Pod truck measures approximately seven metres, can carry up to 20 tonnes in weight of freight and is fully autonomous. The vehicle is capable of self-drive on motorways and highways, and can be controlled remotely at a driving station for urban areas. The first fleet is estimated to be active by 2020, in the cities of Gothenburg and Helsingborg in Sweden – and they aren’t the only manufacturer to show keen interest in developing electric and autonomous commercial vehicles, with Mercedes revealing a glimpse of their 2025 concept, and Tesla indication their interest. However, some industry professionals believe that autonomous cars, and trucks or lorries, could actually create jobs for people. Just as automobiles created millions of jobs for people, it is suggested that autonomous vehicles will do the same – though, they might be different to those jobs that face a loss. The UK aims to be at the forefront of development of autonomous alternatives and predict that acting as a world leader in the sector will boost the UK’s economy. The SMMT valued autonomous cars and the systems that connect them to the internet as being worth £51 billion a year to the UK economy by 2030. Success in the field could also see around 320,000 jobs created. 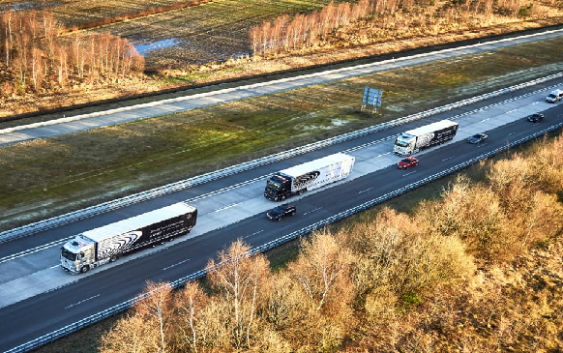 Additionally, drivers will need to form semi-autonomous platooning lorry convoys – a lead driver is likely to be essential to the process which the government proposes. For lorries to follow safely, a lead driver is likely to needed to navigate the first lorry – and of course, there are likely to be jobs created to build new road infrastructure required for autonomous vehicles. Whilst autonomous technology could cause a potential temporary job shortage/loss for those who drive for a living, we must remember that this could just be temporary, plus autonomous technology will also improve road safety and reduce harmful emissions too. In the US alone, there are over 350,000 road accidents a year involving trucks, which the majority of those are traced to human error. Similarly, with the UK, there were over 1,810 incidents in 216 where someone was killed or fatally injured in a road traffic accident. Autonomous vehicles eliminate human error on the roads to make them a safer place. Will Santa’s helpers get your parcel delivered in time for Christmas?